Very nice. I really like the Scottish Colorists. And Peploe is the half-brother of the father in law of my favorite writer, D.E. 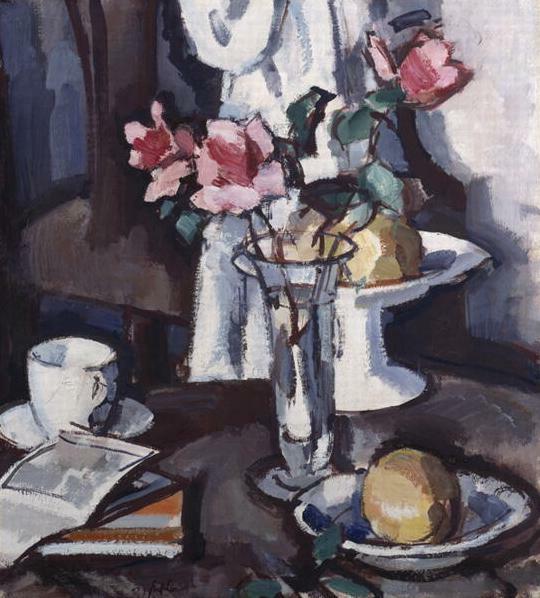 Stevenson, who stored a lot of his work in her home in Moffat, Scotland during WWII. I heard they were sad when the paintings had to be returned after the war! No wonder they were sad when they had to return the paintings! I hadn't heard of Peploe until I read "44 Scotland Street" by Alexander McCall Smith. I managed once to borrow two of D. E. Stevenson's books - but she is practically unknown here.